A painting of a game of bowls by John Singer Sargent previously in the collection of the late A Alfred Taubman has sold to the National Trust’s Ightham Mote, the manor house in Kent depicted in the picture. ‘A Game of Bowls’ by John Singer Sargent. 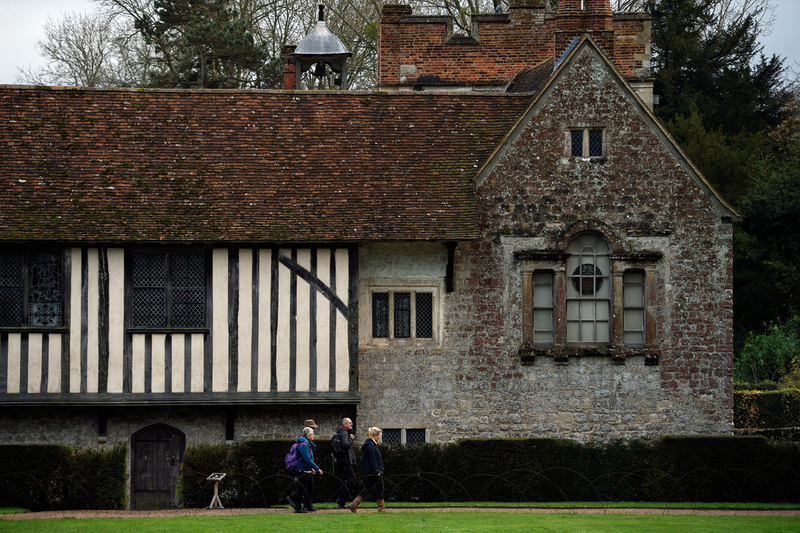 The painting has been acquired for Ightham Mote, the National Trust property in Kent that is depicted in the painting. Image copyright: Sotheby’s. The £360,000 deal was brokered by Sotheby’s, the company which the American businessman owned until his tenure ended after the infamous price-fixing scandal unravelled. Following Taubman’s death in 2015, Sotheby’s staged a series of sales of his collection which raised approximately $480m. This picture, though, which Taubman acquired for $330,000 (£182,925) plus buyer’s premium at Sotheby’s in December 1987, was not included in any of the auctions. Instead, its potential availability was brought to the National Trust’s attention by the great nephew of the American-born artist and former director of the National Maritime Museum, Richard Ormond. While attempts were made to secure the funds to purchase the work, A Game of Bowls was subsequently put on loan at Ightham Mote as part of the property’s John Singer Sargent exhibition which opened in March 2017. It was announced yesterday that the necessary funds have now been raised with a £175,000 donation made by the National Heritage Memorial Fund (NHMF) and a £100,000 donation made by the Art Fund. 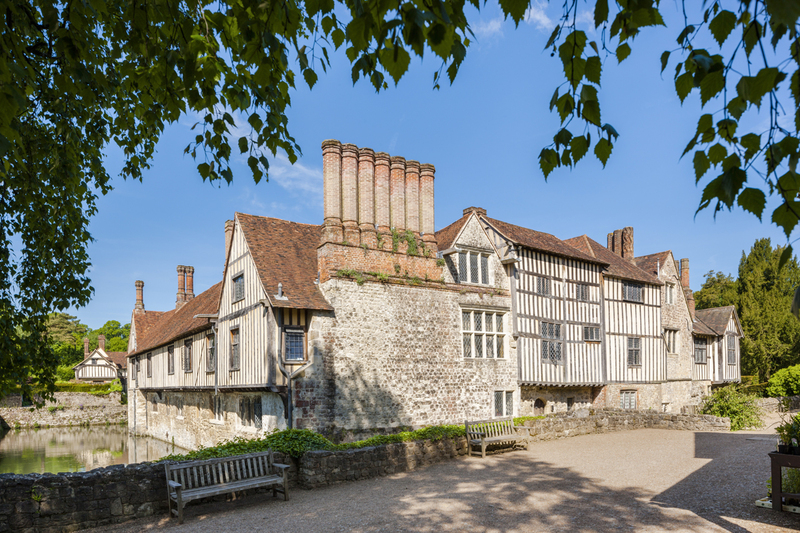 A further £75,000 came from visitors and supporters of Ightham Mote, while the property put £10,000 of its own money in as well. 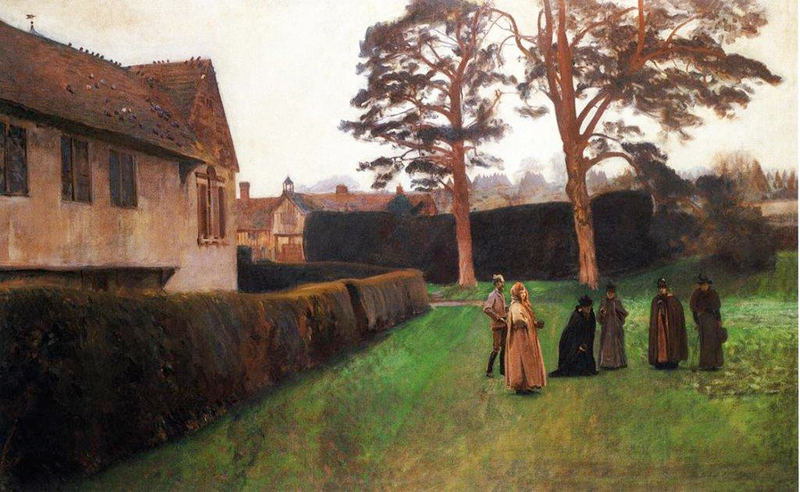 The work itself depicts the 14th century moated manor house in 1889 with its American tenant at the time, Mary Lincoln ‘Queen’ Palmer, and her daughter Elsie enjoying a game of bowls on the North Lawn with their friends, including Singer Sargent’s sister Violet. Although not as commercial as Singer Sargents’ ‘swagger’ portraits of high-society society figures in Paris, London and New York, the 7ft 6in x 4ft 8in (2.29 x 1.43m) oil on canvas is an interesting combination of a traditional English landscape but with a somewhat experimental element being en plein air in a style influenced by French Impressionism. It originally appeared in Joe Comyns Carr's New Gallery the year after it was painted. The work will continue to feature in the John Singer Sargent exhibition at Ightham Mote which runs until the end of October 2018. 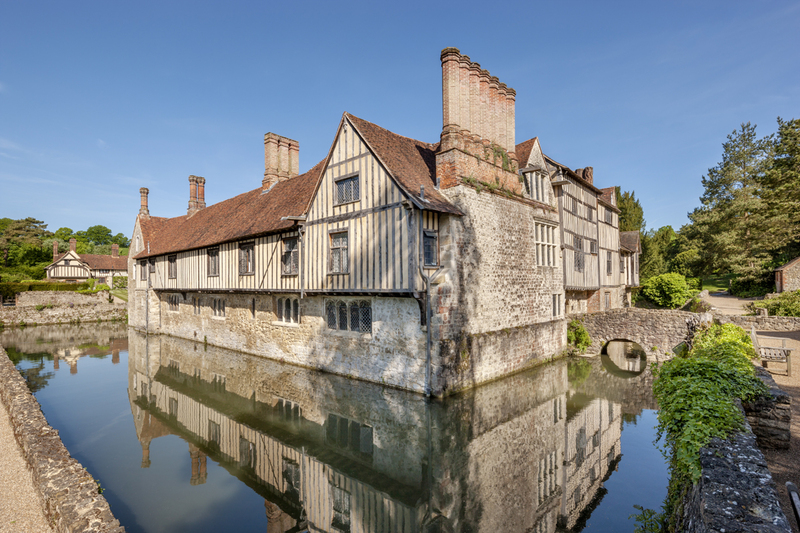 Ightham Mote was built nearly 700 years ago has been remarkably well preserved over the centuries. The parts of the house depicted by Singer Sargent are still much in evidence today, as are the gardens and woodland. In 1887 ‘Queen’ Palmer, the wife of the American railroad engineer William Jackson Palmer who founded Colorado Springs, came to live at Ightham Mote with her three daughters. Renting the property for three years, she formed a salon of aesthetic artists and writers, with visitors including author Henry James and actress Ellen Terry as well as Singer Sargent. Two of James’ most famous novels, A portrait of a lady and Turn of the Screw, are believed to have inspired by his stay at Ightham Mote. The house and gardens was later bought by the American businessman Charles Henry Robinson in the 1950s, who left Ightham Mote to the National Trust in 1985. The surrounding estate had already been donated to the National Trust by one of its previous owners, John Goodwin, in 1977.